Water sports, especially fishing, expose individuals to nearly double the dose of dangerous ultra-violet radiation from the sun compared to other outdoor activities. Over time this exposure can lead to biological changes that cause different types of skin cancers. In the past covering up presented a problem as it prevented the body from regulating temperature because most fabrics were not able to allow adequate moisture flow. But don’t be alarmed, there are great products that have been developed to aid in the prevention of these issues and still keep you cool. The Sun Protective Factor (SPF) relates to protection afforded by sunscreens while the Ultraviolet Protection Factor (UPF) describes the amount of radiation that a fabric will block. But not all sunscreens and fabrics are created equal. Generally cotton type fabrics provide very limited protection for the skin (about UPF 5-10) while water-wicking polyester-based fabrics used by Under Armour, Columbia, Simms, and others provide UPF values up to 50+. What does this mean to anglers? Clothing with a UPF value of 30 will block about 96 percent of the UV radiation, while UPF values of 50 or more will block over 98 percent of the sun’s harmful rays and still keep you cool in the hot sun. It’s a win-win for anglers and outdoor enthusiasts. The “wick factor” has been the biggest attribute in the advancement of sun protective clothing and gear. This allows moisture (sweat) to evaporate from the material keeping the wearer cooler. As a charter fishing captain, I wear a lot of Under Armour branded long sleeve and pants day in and day out, even on those 100 degree July days. The material works wonders as it blocks the sun and keeps you cool at the same time. Most brands will advertise the sun-blocking and water-wicking qualities, so be sure to check the garment’s label and think quality as they will perform better. Another garment that is an absolute necessity is some type of multi-functional head gear such as the ones developed and marketed by Buff Wear. Whether drift-fishing, trolling, or surf fishing from the beach, an angler’s neck will take a beating from the sun. The moisture-managing material continues to keep you cool while providing great sun protection to an area that usually gets burned. The are a variety of sunscreens out there ranging from an SPF value of 15 to 75, but many have different chemicals that can have negative impacts on your body. 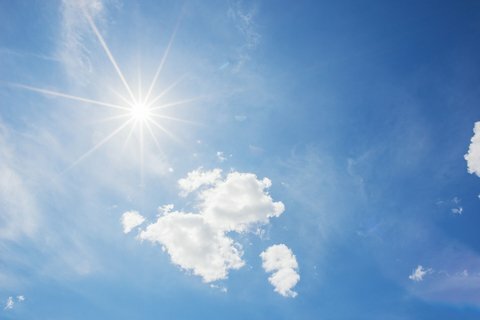 There are a few out there that have more stable compounds, zinc oxide and titanium dioxide, which do a great job at blocking the sun’s harmful rays. The most important part of using a sunscreen is to consistently reapply every 2 to 3 hours. One last tip, especially for fisherman, be sure to wash the excess sunscreen off your hands as you do not want the fish to smell it on the lines, lures, and terminal tackle. Remember, over time a little goes a long way in terms of skin-cancer prevention, so start protecting yourself. You want to be able to fish and enjoy nature for as long as you can, so taking a few simple steps will ultimately increase your overall health for something that is so easily prevented. previous articleChasing Turkeys: On Choosing a Shotgun or Bow?